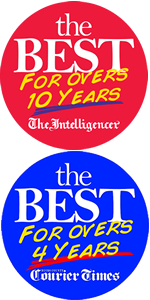 “Best of Bucks” for Computer Sales and Service. Bill Pierce started Total Computer Services (TCS) out of his home in 1990. He offered computer sales and services to individuals and small businesses in Bucks, Montgomery and Philadelphia Counties. In 2006 realizing that residential customers needed a reliable computer service center he opened his first location in Jamison. In 2013 a second location was opened in Richboro. TCS provides prompt and reliable solutions for all your home computer needs. We have built our reputation by being responsive, knowledgeable and affordable.